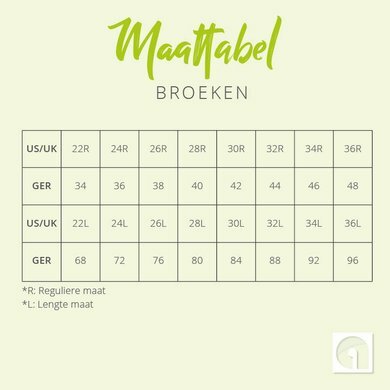 These trousers are available in 'Regular' and 'Length', where 'Regular' is the normal size. The 'Length' is about 3 to 4 centimeters longer. The Olympia breeches feature the four-way stretch schoeller® fabric for maximum comfort and mobility, stretch Clarino ™ kneepads, front zipper and unique pocket design with elegant finish. 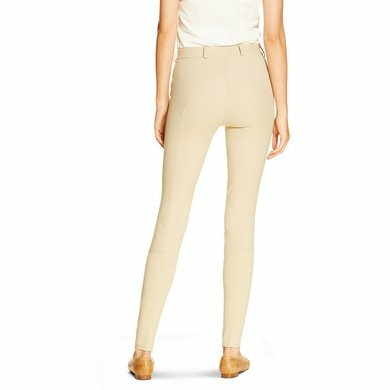 Ariat's patented V3® system at the waist and the CFS ™ (Calf Fit System) ensure that these breeches not only contribute to excellent performance in the saddle but also look good. A very nice breeches. Warm in winter; dirt-repellent and very elastic. I have to put in a belt, because the waist is quite wide. Lovely riding breeches and very good quality! 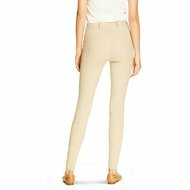 I use the breeches daily and after half a year it looks great! This one was too small so exchanged for size bigger. It is a bit too big, but is nicer in the back. Sent back because k wanted full seat. 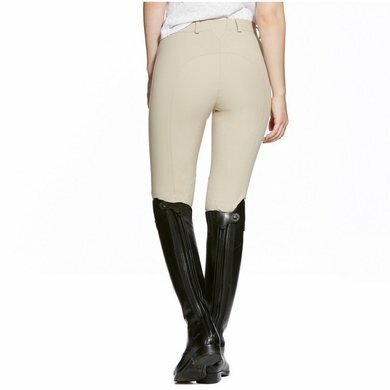 But also these riding breeches are great and is nice with riding or work around the stable. And is still neat. Especially nice that there is no more Velcro. 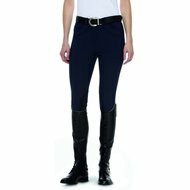 Answer: This Olympia breeches is made of premium Schoeller fabric, this is a stretchy cotton blend.